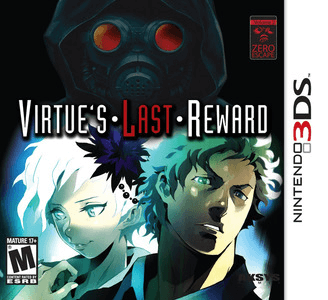 Zero Escape: Virtue's Last Reward is an adventure video game developed by Chunsoft. The story follows the player character Sigma, a man who is abducted and forced along with eight other individuals to play the Nonary Game, which puts its participants in a life-or-death situation. Zero Escape: Virtue’s Last Reward has some issues in Citra. There are some minor issues with the graphics. There is heavy frameskip drop during the investigation mode and at some points during novel mode. Due to the speed drop, audio will stutter making the sound effects painful to hear. There might be some occasional crashes at some point but the game is playable.